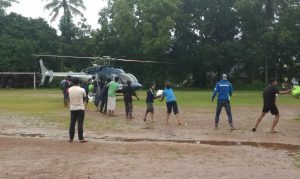 A helicopter brings supplies for the relief camp at UCC. 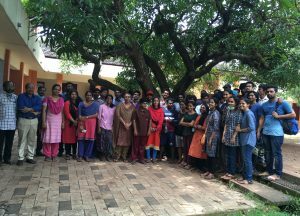 Thara K. Simon began her tenure as principal of Union Christian College (UCC) on March 31, 2018, the first female to lead this 100-year-old institution located in the southwestern Indian state of Kerala. Five months later, as heavy rains and severe flooding struck Kerala, Dr. Thara put aside her typical administrative responsibilities in order to respond to emergency conditions. 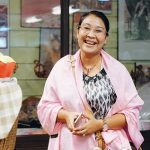 UCC, located on a hilltop, had been spared the worst effects of the devastation, so Principal Thara and her colleagues welcomed those displaced by the flooding to the UCC campus. 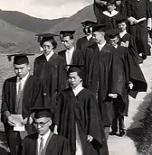 For two weeks, the campus served as a flood relief camp, giving shelter to about 13,000 people. 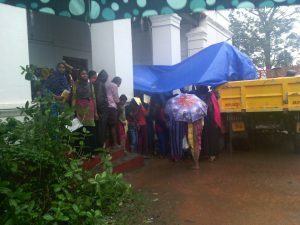 A campus building is transformed into a relief camp. UCC staff and students, who served as volunteers at the relief camp. After two weeks, the water levels receded and UCC was able to close the relief camp, clean up the campus, and reopen the college. Union Christian College received appreciation from the local government for the successful completion of REBUILD KERALA – Damage Assessment Survey, which was conducted to assess the structural damage of 9,534 houses in 21 wards. 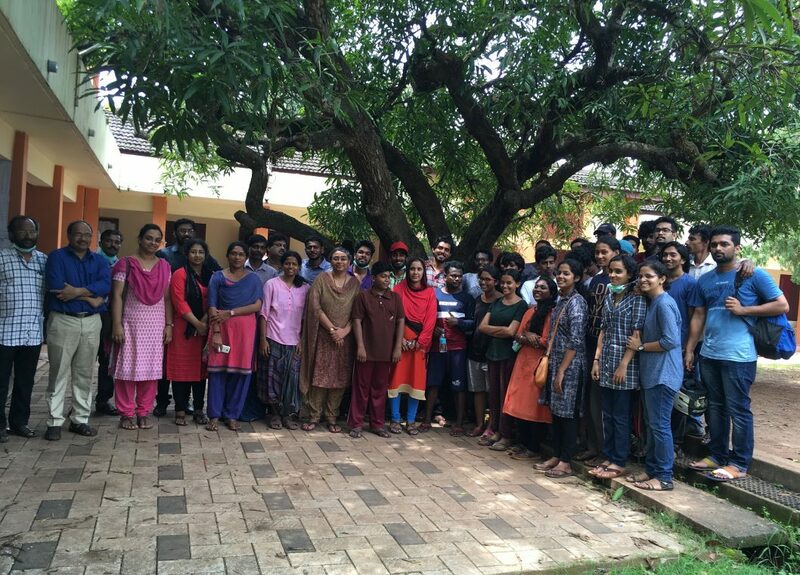 Two hundred sixty-one students of the college, including National Cadet Corps (NCC) members and National Service Scheme (NSS) and pain and palliative care volunteers, registered for the survey and uploaded the damage details through the “Rebuild Kerala” app using geo-tagging technology within a short span of three days. Dr. Thara has had some time to reflect upon the experience. “With profound gratitude, I recall how the United Board provided leadership training to me as a United Board Fellow,” she wrote. Dr. Thara was a member of our first cohort of United Board Fellows (2002-2004), yet many years later she continues to draw on the leadership skills she acquired over the course of the program. The United Board applauds the UCC community for its generous response to those in need during the period of flooding and dislocation. “Kindly keep us in your prayers,” Dr. Thara wrote, a request that we humbly accept.